Since The Wise Man's Fear hits bookshelves tomorrow, the ever fan-friendly and general great sport that Patrick Rothfuss is inspired him to acquiesce to some requests for a summary of The Name of the Wind. Although not a traditional summary/recap/'what-has-come-before' many multi-volume fantasy novels have in the front matter of their books, the summary present on Patrick's blog with art from his pal Nathan Taylor is a treat. 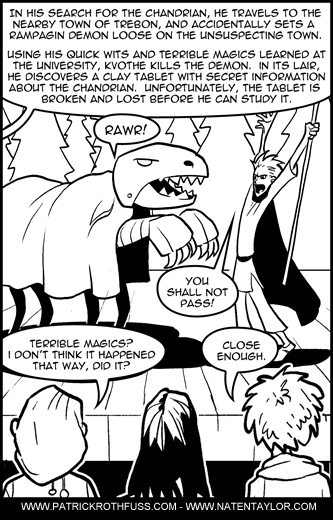 Below is just one panel from the summary, which I highly recommend people eager to read The Wise Man's Fear read. Demon Song (Blood Singer #3) by Cat Adams (Tor, Trade Paperback 03/01/2011) – Third in a series about a half-human/half-vampire professional bodyguard Celia Graves lives in an alternate California where vampires stalk the alleys at night, werewolves are dangerous animals to be feared and the police have witches and telepaths to help do their job. Of course, so do the criminals. In a world where magic is real and the supernatural is almost normal, bodyguard Celia Graves has survived a vampire attack which made her a half-vampire and awakened her latent Siren abilities. She’s battled a Siren Queen to the death and twice faced down a demon that wants to kill her--slowly. She’s also had her heart broken--twice--by her old flame, magician Bruno DeLuca. Perhaps the worst thing was the discovery that Celia’s life has been warped by a curse laid on her during childhood--the cause of everything from the death of her little sister to the murder of her best friend the same night that Celia became an Abomination. An ancient rift between the demonic dimension and our own--sealed during the destruction of Atlantis--begins to open, threatening to loose all the demons of hell on humanity (including the one personally bent on destroying Celia). Celia’s hellish recent experiences have given her the unique combination of abilities needed to close the rift. But to overcome the curse, which nearly guarantees her failure, she’ll need to join forces with people she no longer trusts...and put people she has come to care about directly in harm’s way. Department 19 by Will Hill (Razorbill , Hardcover 04/05/2011) – Vampires meet secret British government agencies in this young adult thriller/paranormal mystery. The Cardboard Valise by Ben Katchor (Pantheon, Hardcover 03/15/2011) – Black and white “quirky” independent comic about three people in a world slightly askew from ours. Ben Katchor (“The creator of the last great American comic strip.”—Michael Chabon) gives us his first book in more than ten years: the story of the fantastical nation of Outer Canthus and the three people who, in some way or another, in­habit its shores. Emile Delilah is a young xenophile (lover of foreign nations) so addicted to traveling to the exotic regions of Outer Canthus that the government pays him a monthly stipend just so he can continue his visits. Liv­ing in the same tenement as Emile are Boreal Rince, the exiled king of Outer Canthus, and Elijah Salamis, a supranationalist determined to erase the cultural and geographic boundaries that separate the citizens of the Earth. Although they rarely meet, their lives in­tertwine through the elaborate fictions they construct and inhabit: a vast panorama of humane hamburger stands, exquisitely ethereal ethnic restaurants, ancient restroom ruins, and wild tracts of land that fit neatly next to high-rise hotels. The Cardboard Valise is a graphic novel as travelogue; a canvas of semi-surrealism; and a poetic, whimsical, beguiling work of Ben Katchor’s dazzling imagination. 1918. A young American soldier, recently wounded in the Great War, Alex White comes to Gatford to escape his troubled past. The pastoral English village seems the perfect spot to heal his wounded body and soul. True, the neighboring woods are said to be haunted by capricious, even malevolent spirits, but surely those are just old wives’ tales. A frightening encounter in the forest leads Alex into the arms of Magda Variel, an alluring red-haired widow rumored to be a witch. She warns him to steer clear of the wood and the perilous faerie kingdom it borders, but Alex cannot help himself. Drawn to its verdant mysteries, he finds love, danger…and wonders that will forever change his view of the world. Other Kingdoms casts a magical spell, as conjured by a truly legendary storyteller. Since The Wise Man's Fear the second book in Patrick Rothfuss's Kingkiller Chronicles, publishes next week, I figured now would be as good a time as any to start a new semi-regular feature here at my blog. I'll call that feature Series Launch, whereby I'll post up a review/overview of the first book in an ongoing series. 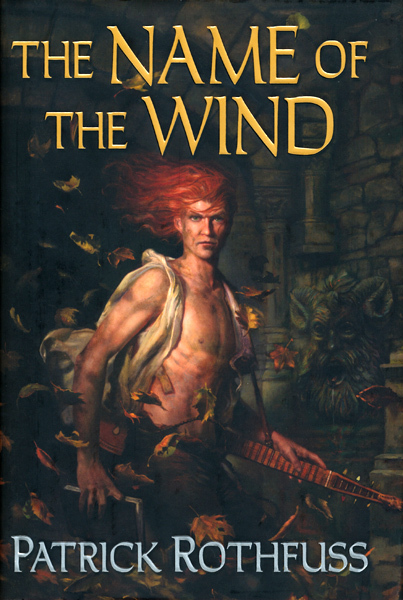 So, without further ado, here's my review of The Name of the Wind, which originally posted/published at SFFWorld in February 2007, months prior to the release of the novel. The last few years have proven good for fantasy fiction from new voices, with writers like R. Scott Bakker, Scott Lynch, Hal Duncan, and Joe Abercrombie bursting onto the scene. This year THE book, debut or otherwise, is likely to be The Name of the Wind, by first time novelist Patrick Rothfuss. Rotfhuss does not spin the genre on its rear in the same way, he simply tells a wonderful, story of fantasy. When the publisher, Elizabeth Wollheim, uses as the cover of the advanced reading copy a letter proclaiming the book the best debut she’s read in thirty years, comparing Rothfuss to George R.R. Martin and Tad Williams, then you know you might be holding a special book in your hands. Rothfuss has crafted an incredible, rich and realistic story with this novel. Though The Name of the Wind is not a humorous novel, Rothfuss, like Scott Lynch, adds humor in the right doses and in the right spots. He doesn’t stray too far from the tropes of the genre, he embraces them, he makes them his own. That in itself is a cliché for many reviews, but it works for Rothfuss. As for some of the main ingredients for the book, what does it have? A young orphan? Check. A school of magic? Check. While it may sound familiar, Rothfuss doesn’t allow his story to rest on these ingredients. Like a master chef, he adds ingredients, both subtle and powerful, to create a delicious stew of his own creation. When this creation is pared back down to its bare bones, it is essentially the chronicle of a legend, from his happy beginnings with his family as a troupe of traveling entertainers swiftly ended by a band of marauders, to his life on the streets then to his time in the University where truly starts on his road to powerful, near mythical wizard. Many of the things Rothfuss does are indeed subtle. The story starts rather typically – an innkeeper, Kote, tends to his customers in a comfortable setting. When a dark creature enters the inn and is destroyed by strange means, things come to be more clear. For one, the innkeeper is not an innkeeper at all, he is the legendary wizard Kvothe. Again, this is not an entirely new idea; hide your legend/protagonist in plain sight. After the first thirty to fifty pages of this impressive tome, Rothfuss is telling the reader things aren’t exactly what they seem and what lies under the surface is much more interesting than it would otherwise seem. Rotfhuss does a superb job of drawing the reader into the familiar and comfortable story, a familiar feeling story, until he changes gears and keeps the reader hooked in even more. He does this both in the focus of the story and the narrative voice, switching from third person omniscient to first person narrative, allowing the protagonist to tell his own story. As Kvothe begins to reveal his life story, each detail is a spice that compliments the one which preceded it. As a part of a traveling group of mummers, young Kvothe took to the lute and music became an important foundation of his later life. Another important aspect of Kvothe’s life, and the novel itself, is the power of story. After all, the majority of this novel is told as a story by Kvothe to a historical chronicler. From the stories Kvothe recalls his father telling, to the stories and plays his family put on for eager crowds, entrancing an audience of either one (like a reader) to an audience of man many, factors powerfully. Also during these formative days does Kvothe gain a fascination and appreciation of Magic. Kvothe invites an elderly man named Abenthy (Ben), who shows hints of magic, the troupe encounters on their travels to join the troupe. It isn’t long before Kvothe soon effectively becomes the man’s apprentice. Ben tells Kvothe of the magic and great things he can learn at the University, and how Kvothe’s skill with the lute is one indicator of how much potential he might have at the University and with the craft of Magic. Kvothe cannot douse this flame of interest. Like Rotfhuss’s shift in narrative voice early in the novel, Kvothe’s life soon shifts, though this is a major turn for the worse. His troupe has an encounter with a seemingly random group of marauders. Like the story itself, these marauders are more than they seem. Kvothe gets only a hint; his father was telling the wrong stories, stories about the mysterious people known as the Chandrian. 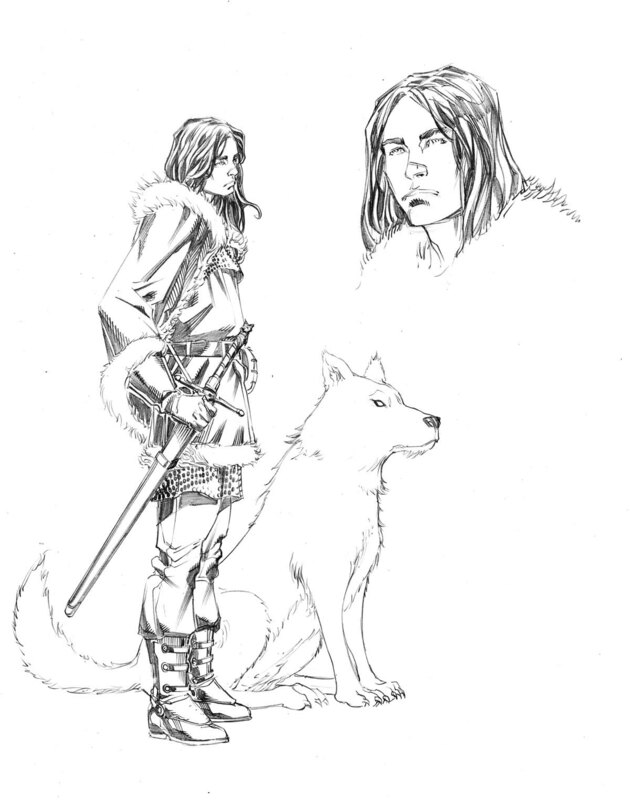 Kvothe soon hitches a ride to Tarbeam, a sizeable city where he becomes a street urchin, living only by his wits and bare feet. Kvothe eventually leaves the streets and journeys to make his bid for entry in the University. Along the way, he falls in with a caravan where he meets a lovely, enchanting woman named Denna. He is faced with a hard decision when the caravan arrives at Imre, the young woman, Kvothe says goodbye to Denna and the scene is one of few that plays out a bit too clichéd. Once in the University, Kvothe encounters several hurdles as he is introduced to scholarly life. The picture Rothfuss paints of the University, again, comes through not as a many-detailed thing, focusing on the minutia. The world comes through as part of the story, not something separate. Through Kvothe’s eyes, the University seems both a marvel and a thing of frustration, giving him a situation not unlike having your cake, but not being able to eat it. Or rather, running for miles before you can actually eat it. Here, Kvothe soon relies on the acting skills he learned when his parents were alive. More importantly; however, Kvothe’s skill and the knowledge of magic he gained under Ben more than gets him through his tough situations, these skills with magic are precisely what gains him entrance into the University. Some elements which may be considered “legendary” are played out in the University. The structure of the book is something to be noted again. The majority of the story taking place at the University, Rotfhuss allows Kvothe to tell most of the story, providing for first person narrative. The brief interludes when Kvothe pauses his story and the novel returns to the third person omniscient, provide great hints of what is to come in Kvothe’s narrative. This switch in narrative voice is not unlike Matthew Stover’s Heroes Die, wherein the scenes when Hari is Caine in Overworld are first person, and the scenes of Hari in the “real world” are third person. Since the story is primarily told from the first person narrative, two other authors draw immediate comparison – Robin Hobb and Gene Wolfe. Both are writers who excel with such viewpoint narratives and moreso with Hobb do the similarities seem strongest. Like her Shaman’s Crossing, the elements of young men coming of together in a closed setting set the tone for The Name of the Wind. Rothfuss’s debut also has a feel similar to Hobb’s Assassin’s Apprentice, with the orphaned youth living in the shadows of “normal” life. Where Rotfhuss’s novel moves into Wolfe territory is the reliability of the narrator. Wolfe is widely known for his unreliable narrators. It may be too early in Rothfuss’s career to know how reliable his narrator, Kvothe, is, but this question cannot be forgotten when the protagonist/narrator was born into a family of actors and performers, and admits to using such skills throughout the narrative. There are only a few nagging points about this otherwise impressive novel. At times, Kvothe just happens to have knowledge of everything. Whatever crosses his path, he seems to know something about it. While the novel is approximately 900 pages, only on one or two occasions does Rothfuss become too indulgent with the details. Otherwise, the story is just the right length, it is a story one does not want to end as Rothfuss does a wonderful job of immersing the reader in Kvothe’s world and with Kvothe. As with the format of most of the Malazan novels, TCG is a slow building story as the pieces move towards convergence one last time. In the first half of the book the storyline with arguably the quickest progression is the Shake as they stand once more upon the Shore and dispense their duty. This is the most compelling of the threads that seemed to be randomly introduced over the course of the last few books, being in turns both brutal and emotional, if a little unlikely, leading to a compelling resolution that creates intriguing options for the realm of Darkness. Definitely one of the high points of the book from an unexpected quarter. In the second half we are swept towards Kolanse from a variety of directions as the various threads hit their marks, before plunging into the maelstrom (no pun intended) at the heart of the story. Perhaps most surprising about this plunge though is the inevitability of the conclusion. To a long time reader there are no real surprises and disappointingly the enemy at the end is not half as terrifying as we'd been led to believe. Nor are they the ones we originally signed up to fight. Echo City itself is a living character. Its highest peaks soar to the upper reaches of the sky; the depths of its sewers delve deeply into the earth, as its many levels are built upon each other. There are Bellowers, large mouths that transport people through the depths of Echo City. At this point, I can draw some comparison. Perhaps because Miyazaki’s Spirited Away was being shown on television shortly after I finished the book, I was able to see some similarities – the strange creatures, the class structure, and the potential sinister nature of the city. Echo City also has shades of Mieville’s New Crobuzon, as well as the dark horrific city of Jeff VanderMeer’s Veniss Underground. As previously mentioned, Lebbon owes a debt to Mary Shelley for his Bakers, who seem to be spiritual successors to her most famous Doctor. The plot is fairly linear, but the pull of the narrative, when it veers from the fascinating descriptions of the weird, fantastical creepiness of Echo City, did not grip as strongly. The most interesting plot point is the mystery surrounding Rufus’s origin, as well as the plot thread involving Rufus’s disappearance in Echo City. Only a few arrivals this week, but intriguing books nonetheless. Embassytown by China Miéville (Del Rey, Mass Market Paperback 03/01/2011) – Miéville turns his pen to far-future (some might say space opera) in what looks to be another terrific, and at the very least, interesting novel. 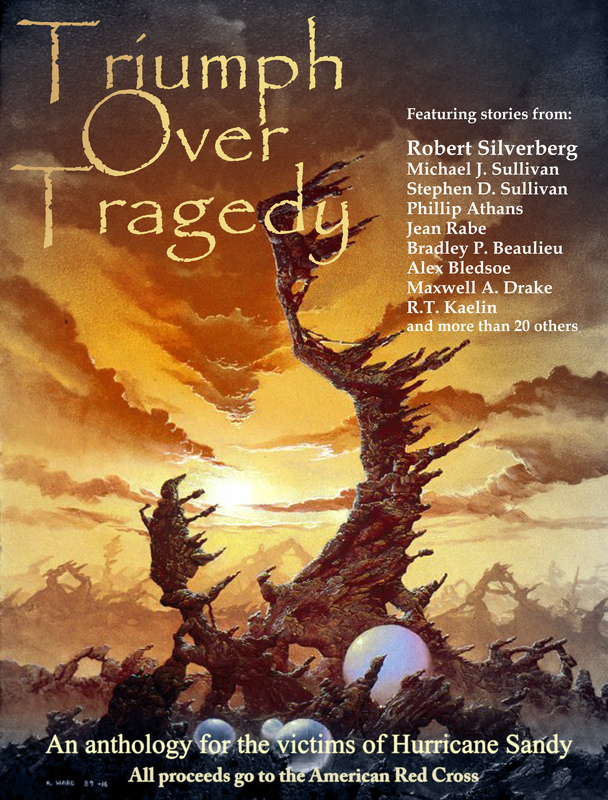 Eclipse Three edited by Jonathan Strahan (Night Shade Books Trade Paperback October 2009) – This is the fourth in Strahan’s acclaimed annual, unthemed anthology series of original fiction. I thought the first one was good and Dan liked both the second and the third installments. I can’t help but give credit to Knapp for what he’s trying to do here. In the current state of the genre, Zombies can be considered the new vampires, they inhabit some of the more popular video game franchises, some of the most popular comic books, popular movies, and thanks to the recent adaptation of The Walking Dead TV screens. Knapp is hitting upon a hot trope and seems to be having fun with it. He’s playing with that trope in interesting ways, though he isn’t exactly the first to show zombies being used as a form of slavery. His zombies, as I previously indicated, retain a portion of themselves. This is where the comparison to Blade Runner comes into play as one of the questions posed by the narrative and the characters is whether or not these reanimated corpses are humans and whether or not they have rights. It’s an interesting question to pose – just where does humanity end and death begin? Also on the reading front, as my sidebar currently indicates, I’m in the midst of two books I’m really enjoying. The Age of Odin by James Lovegrove, which is a military sf set in the very near future with a woman president and a world where the Æsir, the Norse Gods, are looking to make their presence known in the world once again. Liviu at Fantasy Book Critic enjoyed the first two (Age of Ra and The Age of Zeus) in this connected trilogy and this one is a ton of fun, so I’ll probably go back and read the earlier installments. 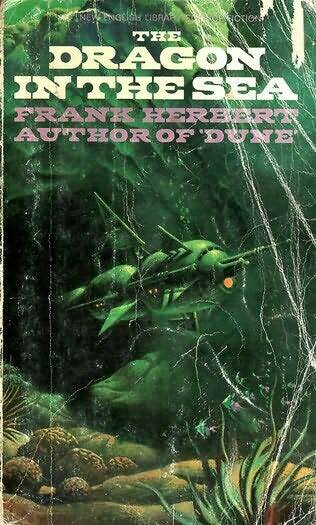 The other book is of course, The Name of the Wind. This is my second reading of the book and I love it. I’d forgotten how inviting Rothfuss’s prose is and just how powerful his narrative pull is. A nice assortment of books this week, including the majority of the March releases from the Penguin SFF imprints, specifically a little book about a killer of kings. Moon over Soho by Ben Aaronovitch (Del Rey, Mass Market Paperback 03/01/2011) – Second in a new Paranormal Police procedural by a writer with experience on the Doctor Who franchise. Mark review the first book Rivers of London / Midnight Riot recently, and liked it. Hastur Lord (A Darkover novel) by Marion Zimmer Bradley and Deborah J. Ross (DAW, Mass Market Paperback 03/01/2010) – Bradley’s Darkover saga is popular and extremely long-running, especially considering it has been a decade since she passed away and this is a new book. (This is the paperback version of the hardcover book I received over a year ago. A never-before-published fantasy novel set in Marion Zimmer Bradley's Darkover universe. Daybreak Zero by John Barnes (Ace Hardcover 03/01/2011) – Second entry in Barnes’s near-future apocalypse, the second entry in Barnes' projected trilogy,. A year has passed since the catastrophic event known as "Daybreak" began. Apocalypso (Xombies #3)by Walter Greatshell (Ace, Mass Market Paperback 02/22/2012) – Third in a series about a plague of zombies. . But even as Arenadd's strength grows his nemesis sets out for the Island of the Sun, seeking the one weapon that can truly kill Arenadd, the man without a heart. Two new reviews this past week at SFFWorld from the usual suspects. Mark and me. For those not in the know, Spring Heeled Jack is a mythical character/creature of English Victorian folklore described by some as a boogeyman and others as a hero. Regardless, the character has strong ties to the Victorian era and lends very well to being the center of a steampunk novel, which is the case here in Hodder’s novel. Though his appearances are limited through the first half of the novel, Jack has more of a boogeymanish air to the characters, particularly Sir Richard Burton, who encounter him. The first half of the novel does a fine job of setting the stage and bringing Richard Burton and Algernon Swineburne together, this novel is after all the first in Hodder’s chronicles of their adventures together. The second half of the story focuses on Spring Heeled Jack himself. Here, Hodder could have easily dropped the ball. Although his appearances were few in the first half, Jack had a major impact driving the narrative. He was enigmatic and in many ways unknowable. Hodder reveals the background and it is just as interesting a character under greater scrutiny as it was when his true nature was mysterious. Being from 1956, the book is imbued with that 1950’s Cold War paranoia, despite being set in the 21st century. Parts of the world have been in a nuclear war. The remaining Eastern Power and the US are involved in a battle over oil reserves, as they continue to overuse their reserves. 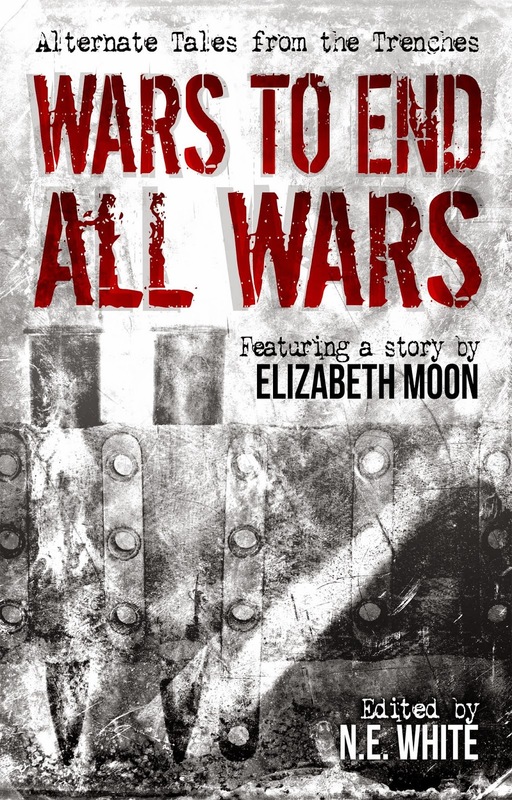 The tale begins when Ensign Ramsey of the Bureau of Psychology is drafted in to join a super-tug submarine crew involved in secret raids, siphoning off much-needed oil from the Russian’s – sorry, Eastern Power’s - reservoirs. The past twenty raids have led to their crews not returning. Heading off to a location under the marginal seas of the Eastern Power’s continental shelf, Ramsey’s job is to decide whether this is because of the actions of the Eastern Power or simply that the stress of the work is causing the crew to fail. Lots and lots of books this week. Oddly enough, the book by Barclay and the book by Trussoni arrived on the same day. Once you read through the post you'll see the titular irony. Additionally, two series closers by Elizabeth Bear and (seemingly) all of the Black Library's March output. Demonstorm (Legends of the Raven #3) by James Barclay (Pyr Trade Paperback 1/15/2011) – Third installment of The Legends of the Raven the second trilogy of James Barclay’s mercenary heroes. Like the previous two volumes, this one will have awesome cover art by Raymond Swanland and is the final copy of the ARC I received late last year. Grail (Jacob’s Ladder #3) by Elizabeth Bear (Spectra, Mass Market Paperback 02/22/2011) – This is the first of two closing books in trilogies I’ve received from Bear this week. The Sea Thy Mistress (The Edda of Burdens #3) by Elizabeth Bear (Tor, Hardcover 02/15/2011) – Bear is one of the most consistent, both in quality and quantity, of output in the genre. This one wraps up her turn on Norse myth. Beautiful Cathoair, now an immortal warrior angel, has been called back to the city of Eiledon to raise his son—Muire’s son as well, cast up on shore as an infant. It is seemingly a quiet life. But deadly danger approaches…the evil goddess Heythe, who engineered the death of Valdyrgard, has travelled forward in time on her rainbow steed. She came expecting to gloat over a dead world, the proof of her revenge, but instead she finds a Rekindled land, renewed by Muire’s sacrifice. THEIR ORIGINS ARE A MYSTERY. THEIR FUTURE IS AT HAND. For thousands of years the Meq have existed side by side with humanity—appearing as twelve-year-old children, unsusceptible to wounds and disease, dying only by extraordinary means. They have survived through the rise and fall of empires and emperors, through explorations, expansions, and war. Five sacred stones give a few of them mystical powers, but not the power to understand a long-destined event called the Remembering. In the aftermath of the nuclear bombing of Japan in 1945, Zianno Zezen finds himself alone, while the fate of the other Meq and his beloved Opari, carrier of the Stone of Blood, is unknown. But Z’s archenemy, the Fleur-du-Mal, survives. In the next half century Z will reunite with far-flung friends both Meq and human, as American and Soviet spies vie to steal and harness the powers and mysteries of the timeless children. With the day of the Remembering rapidly approaching, Z must interpret the strange writing on an ancient etched stone sphere. In those markings, Z will discover messages within messages and begin a journey to the truth about his people and himself. Lyrical and mesmerizing, The Remembering spans the world and history, from the first humans to a secret that has never been told before. The Remembering is the moving saga of the Meq—their purpose, past, and future among us. The armies of Hochland are at breaking point. Beset on all sides by the feral beastmen, the safety and prosperity of the province is shattered. These are desperate times. Mercenary Captain Eriksson looks to capitalise on the conflict, buying the freedom of a group of prisoners to form a new free company. The criminals are delighted to be released, but this comes at a terrible price – to fight and die in the upcoming conflict. Eriksson must lead his makeshift company into one bloody conflict after another, putting his faith in those who gave up on honour long ago. On the battlefields of Hochland, either damnation or redemption awaits them. Dal’yth. The forces of the Greater Good have established a strangehold on the planet, and the time has come for the Imperium to move against them. 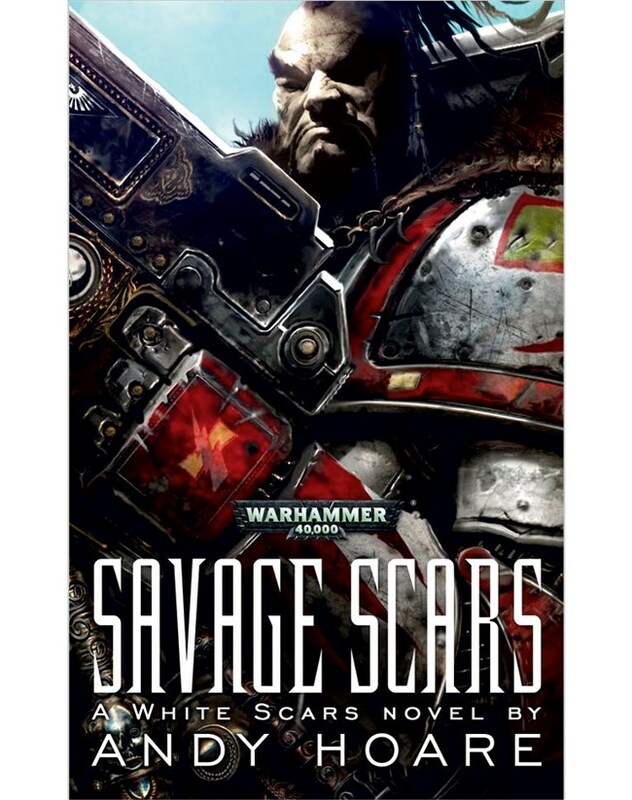 The White Scars lead the ground assault against the tau, launching into combat with speed and fury, shedding blood as they gain ground against their enemies. Meanwhile, the members of the Crusade Council are determined to pursue their own agendas, and their politicking and back-stabbing will place the entire war effort in jeopardy. But little do they know that Inquisitor Grand has more extreme measures in mind, and the White Scars must achieve victory quickly or the cost to Dal’yth will be devastating. Aleksandr made a silent promise to the Lord. God would deliver him – would deliver Russia – and he would make Russia into the country that the Almighty wanted it to be. He would be delivered from "the pestilence that walketh in darkness ... " and "the destruction that wasteth at noonday ... the terror by night..."
1825, Europe – and Russia – have been at peace for ten years. Bonaparte is long dead and the threat of invasion is no more. For Colonel Aleksei Ivanovich Danilov, life is peaceful. Not only have the French been defeated but so have the twelve monstrous creatures he once fought alongside, and then against, ten or more years ago. His duty is still to serve and to protect his tsar, Aleksandr the First, but now the enemy is human. However the Tsar knows that he can never be at peace. Of course, he is aware of the uprising fermenting within the Russian army – among his supposedly loyal officers. No, what troubles him is something that threatens to bring damnation down upon him, his family, and his country. The Tsar has been reminded of a promise: a promise born of blood, a promise that was broken a hundred years before. Angelology by Danielle Trussoni (Penguin Trade Paperback 02/22/2011) – Angels are real, but secretly so. This book was both a NY Times Bestseller in hardcover and a NY Times notable book in 2010. A thrilling epic about an ancient clash reignited in our time- between a hidden society and heaven's darkest creatures There were giants in the earth in those days; and also after that, when the sons of God came in unto the daughters of men, and they bore children to them. Genesis 6:5 Sister Evangeline was just a girl when her father entrusted her to the Franciscan Sisters of Perpetual Adoration in upstate New York. Now, at twenty-three, her discovery of a 1943 letter from the famous philanthropist Abigail Rockefeller to the late mother superior of Saint Rose Convent plunges Evangeline into a secret history that stretches back a thousand years: an ancient conflict between the Society of Angelologists and the monstrously beautiful descendants of angels and humans, the Nephilim. For the secrets these letters guard are desperately coveted by the once-powerful Nephilim, who aim to perpetuate war, subvert the good in humanity, and dominate mankind. Generations of angelologists have devoted their lives to stopping them, and their shared mission, which Evangeline has long been destined to join, reaches from her bucolic abbey on the Hudson to the apex of insular wealth in New York, to the Montparnasse cemetery in Paris and the mountains of Bulgaria. Rich in history, full of mesmerizing characters, and wondrously conceived, Angelology blends biblical lore, the myth of Orpheus and the Miltonic visions of Paradise Lost into a riveting tale of ordinary people engaged in a battle that will determine the fate of the world. The Raven Queen by Jules Watson (Spectra Trade Paperback 02/22/2011) – This is a sequel to a book I haven’t read or received, and the finished copy of the ARC I received in November 2010. 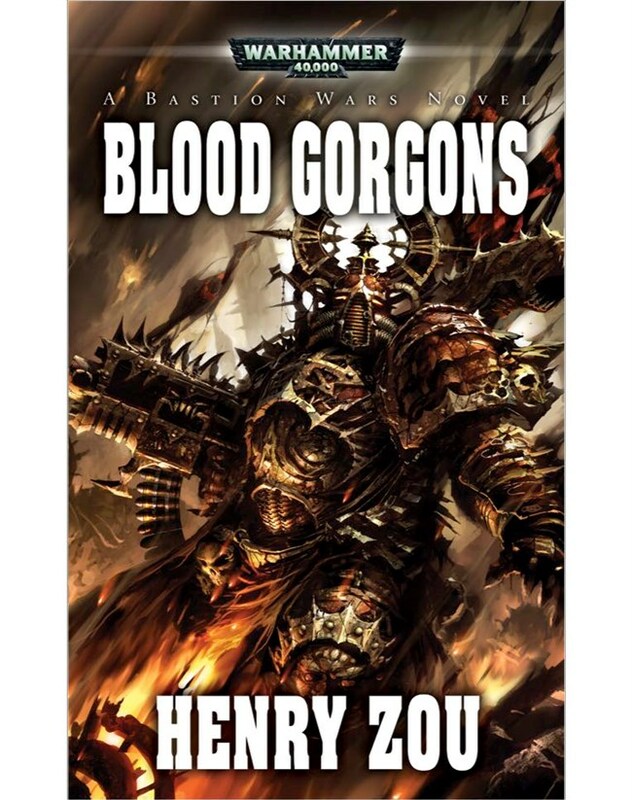 Blood Gorgons (Bastion Wars Book 3) by Henry Zou (Black Library Mass Market Hardcover 03/01/2011) – Zou seems to be yet another rising star in the Black Library’s ranks of writers. 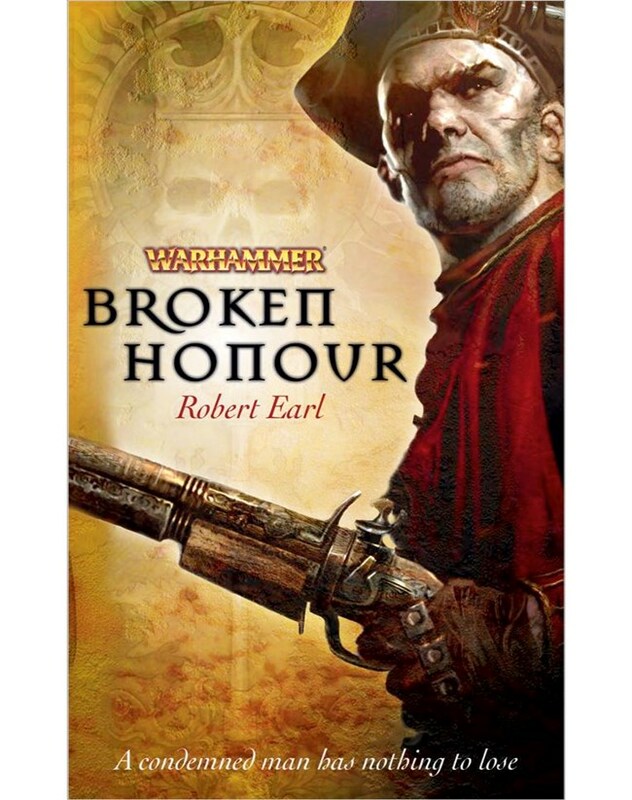 This is his third novel featuring the Chaos Space Marines. The Blood Gorgons Chaos Space Marines are called to one of their recruiting worlds as the populace is struck down by a plague of mutation. 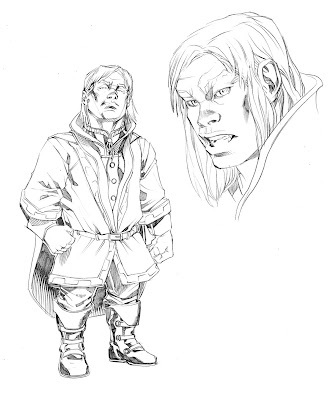 Sargaulis one of few survivors of the first expeditionary force, and is determined to uncover the mysteries on Haute Bassiq. 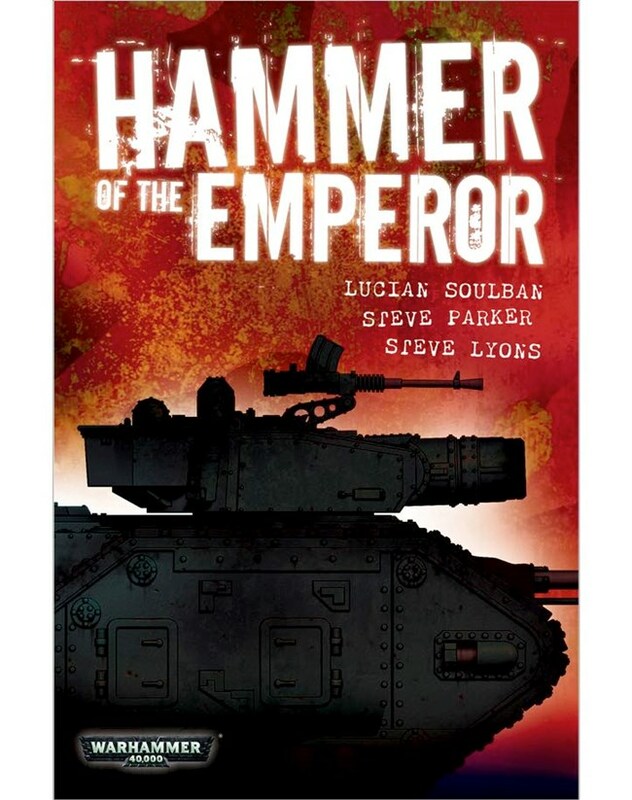 Facing a hostile environment, shadowy xenos enemies and treachery from within his own forces, Sargaul must dig deep into his hatred and determination to leave the planet alive. NEW YORK, NY – February 2, 2011 – Bantam Books, an imprint of the Random House Publishing Group, announced today the acquisition of the comic book and graphic novel rights to the worldwide bestselling A Song of Ice and Fire series by George R.R. Martin. The series will be illustrated by Tommy Patterson and adapted by Daniel Abraham, the award-winning and bestselling author of The Long Price Quartet. The first issue of the monthly comic—which will be published by Dynamite Entertainment—is planned to release in late spring 2011, with compilations of the comics in graphic novel form to follow under the Bantam imprint. With the television adaptation of A Game of Thrones scheduled to air on HBO starting in April 2011, the comics and graphic novels will further expand the Song of Ice and Fire series into a new medium, creating opportunities for readers old and new to immerse themselves in this bestselling world. DANIEL ABRAHAM is the author of ten books and more than thirty short stories. He has been nominated for the Hugo, the Nebula, and the World Fantasy awards, and won the International Horror Guild Award. He has written the graphic novel adaptations of George R. R. Martin's novel Fevre Dream and novella "Skin Trade," and original scripts for Wild Cards: The Hard Call. He also writes as MLN Hanover and James S. A. Corey. He lives with his family in the American southwest. Artist TOMMY PATTERSON’S credits include Farscape for Boom! Studios, the movie adaptation The Warriors for Dynamite Entertainment, and Tales From Wonderland the White Knight, Red Rose and Stingers from Zenescope Entertainment. He has a BS in Studio Art and also works as a graphic designer. Patterson lives in Western Kentucky with his wife and daughter. Long ago, in a time long forgotten, a mysterious event threw the seasons of the world out of balance. Now the kingdom is blessed by golden summers that go on for years, and cursed by cruel winters that can last a generation. In the cool north of this kingdom is a royal family ruled by Eddard Stark. The symbol of the royal house of the Starks is a direwolf; their motto is “Winter is coming.” As indeed, it is. For the Iron Throne of Westeros is once more under contention. With Eddard’s help, Robert Baratheon won it away from the corrupt Targaryens, who had ruled Westeros for generations. But when Eddard is summoned south to help an aging king hold the throne they both won, he finds himself enmeshed in a web of treachery and lies, as faction after faction plays that most dangerous game of all: the game of thrones. BANTAM BOOKS, established in 1945, is one of the most successful publishers of adult fiction and nonfiction. In addition to being the nation’s largest mass market paperback publisher, Bantam publishes a select yet diverse hardcover list, which includes the bestselling novelists Dean Koontz, Lisa Gardner, George R.R. Martin, and Louis L’Amour, one of the bestselling writers of all time. Bantam is also the proud publisher of some of the landmark nonfiction books published in the last two decades including Emotional Intelligence by Daniel Goleman, Dr. Christiane Northrup’s Women’s Bodies, Women’s Wisdom, and the #1 bestseller Flags of Our Fathers by James Bradley with Ron Powers, as well as notable bestselling memoirs, such as Iacocca by Lee Iacocca and William Novak; It Doesn’t Take A Hero by General Norman Schwarzkopf with Peter Petre, and John Glenn: A Memoir by John Glenn and Nick Taylor. DYNAMITE ENTERTAINMENT, the publishing division of DYNAMIC FORCES, INC., was founded in 2004 and is home to several best-selling comic book titles and properties, including The Boys, Green Hornet, Vampirella, Warlord of Mars, Project Superpowers, Robert Jordan’s Wheel of Time and more! Mark added another trifecta of reviews late last week and I added my usual Monday review yesterday to SFFWorld. In a slightly creepy Lovecraftian twist, we find that behind all these initially random incidents there is something darker, deeper and more insidious at work – a invisible malevolent thing, that seems to want revenge by inciting violence and unrest amongst the masses of London. Something that Peter and Chief Inspector Nightingale must stop. Partly reminiscent of Gaiman’s Neverwhere, part Mike Carey’s Felix Castor, this is an entertaining romp that doesn’t come across too badly. The first-person perspective and tone is light, much lighter than Carey’s books, for example, though this is interspersed with some quite nasty violence: a baby thrown out of a window, people having their faces explode. The story itself very much had the feel of a disaster novel. 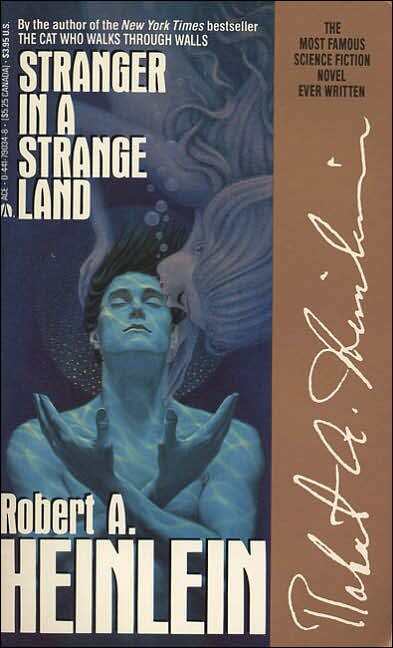 In some ways, I was reminded of Walter Jon Williams’s The Rift or even Stephen King’s The Stand for the varied characters and their related storylines Weber introduced in the first third of the novel. Weber shows us individuals in the military who are on the front lines in the United States and have lost their families, he shows us retired military people who are well prepared and form the beginning of a resistance, and he also introduces us to a military unit stationed in Romania that teams up with a local guerilla force in order to combat the alien threat. The ending definitely has that Deus Ex Machina feel (as did the novella), but while I thought it was somewhat effective, I also thought it could have been played a bit more rationally especially compared against the other rational elements of the novel. I won’t spoil what the “surprise” is, but it may be one of the worst kept surprises in genre fiction published 2010 and the hints are quite blatant up to the ending. Son of Heaven is a completely new prelude to the series and begins to set up scenarios for the rest of the series. Overall, the book focuses on one main character, Jake Reed, at different times before the Chinese invade England (Ying Kuo). The first part of the book is set in Autumn 2065, subtitled ‘The Last Year of the Old World’ and deals with Jake’s life in rural Dorset, twenty years after the global upheaval known as ‘the Collapse’. It is an odd combination of unchanging rural idyll, steeped in history and tradition but with a contemporary survivalist mentality. Strangers are viewed with suspicion, and when raids occur, shot. This was reminiscent to me of John Christopher’s The Death of Grass. For the sake of clarity I will admit that when I read the original (twenty years or so ago!) I was impressed. The books were new, exciting and well thought out (at the beginning, anyway.) They were quite adult and pleasingly complex. So the credentials seem to be there. It must also be noted that this hefty book has not been rushed in its production, with considerable time to research and write it. Patterson’s website says, ‘On January 1, 2000, Mrs. Heinlein phoned Bill and asked him to undertake the formal biography of her husband, which he commenced researching in February 2000. The research phase occupied the years 2000 through about 2003, and he commenced writing in the latter part of 2002. Mrs. Heinlein saw and approved the first 120,000 words of the biography (including the Heinlein family history which has been moved to an Appendix in the published first volume of the biography). The $6,000,000 question though is whether we need to know as much information as is given here. Frankly, no. I suspect that this book, as readable as it is, will cater for an audience that already has an interest, and probably (like me) for the SF aspects. As you might gather, this doesn’t happen until after the midway point of this large volume. Consequently some readers may be disappointed, or get bored with the lengthy details of Heinlein’s childhood and naval training.